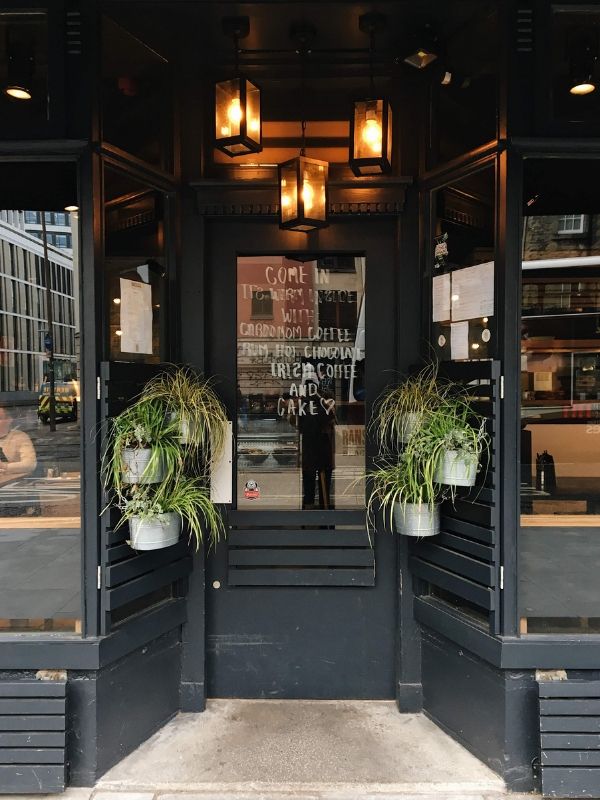 A Weekend in London with LNER! International Woman's Day: My Favourite Edinburgh-Based Artists! Happy International Woman's Day! 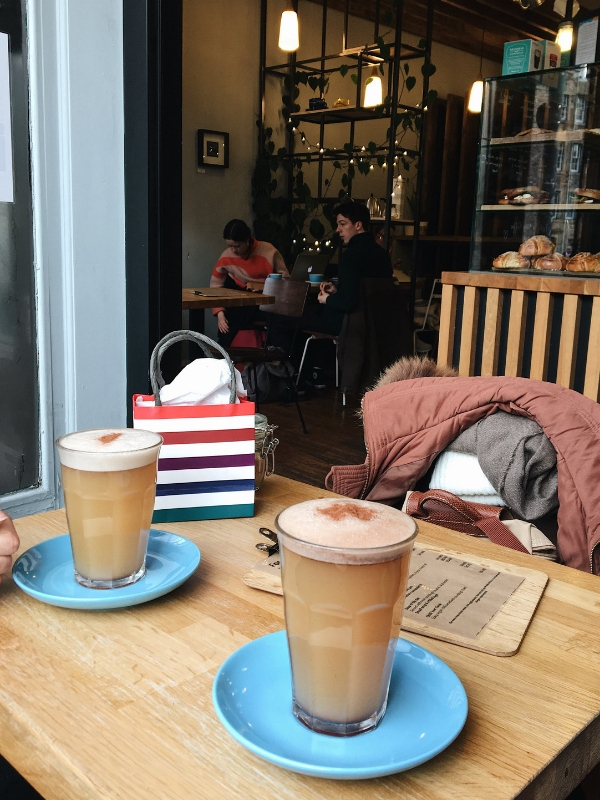 It really doesn't feel like a year since I sat down to write "My Favourite Women-Led Edinburgh Businesses!". It wasn't till this morning that I figured out how, in my small way, I could take part this year. I've decided I'd like to shine a light on a few of my favourite Edinburgh-based artists that I truly admire. A quick disclaimer before we begin, there are so many wonderfully talented Edinburgh artists, these are just a few of my personal favourites, so please don't feel left out if I haven't included you! Emma is an amazingly talented Edinburgh-based artist who creates stunning pieces from concrete. Everything from concrete alphabet letters to vessels of all shapes and sizes. I've been a huge fan of Studio Emma's work for a while now but I finally got a chance to meet her last month! As well as being very talented, I can vouch for what a lovely person she is too. 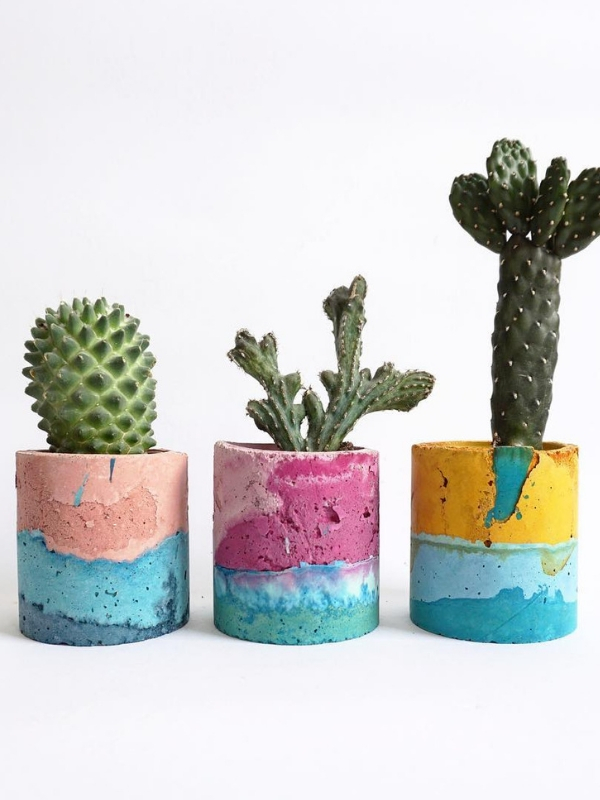 Rachelle creates beautiful, bold patterns which are then transformed into a range of unique home and lifestyle products. 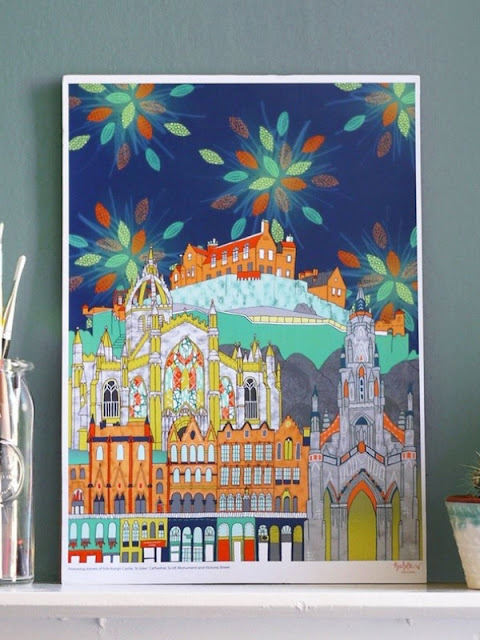 I first came across Rachelle at a Christmas fair, and I remember being in awe of her stunning "Scenes of Edinburgh" print (see below). Another extremely talented artist, is (fellow Fifer) Hatti Pattisson! 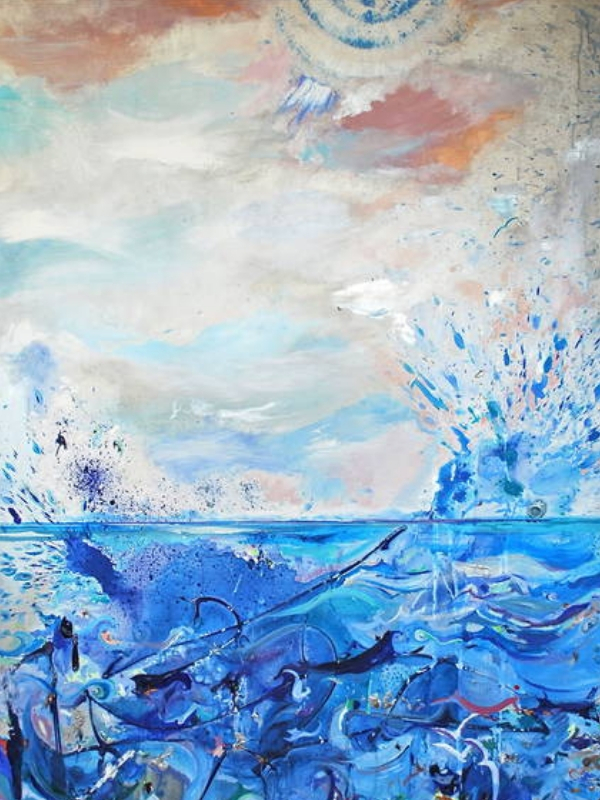 She's been creating expressive, emotive land and seascapes for over fifteen years. I don't claim to know much about art but I find her pieces absolutely captivating. Hatti creates everything from original works of art to a range of textiles and lampshades. Thanks to Life Story for introducing me to this amazing (fairly new) brand! Ashley who created Behind Bracken designs and makes stunning, minimal jewellery and handcrafted objects. 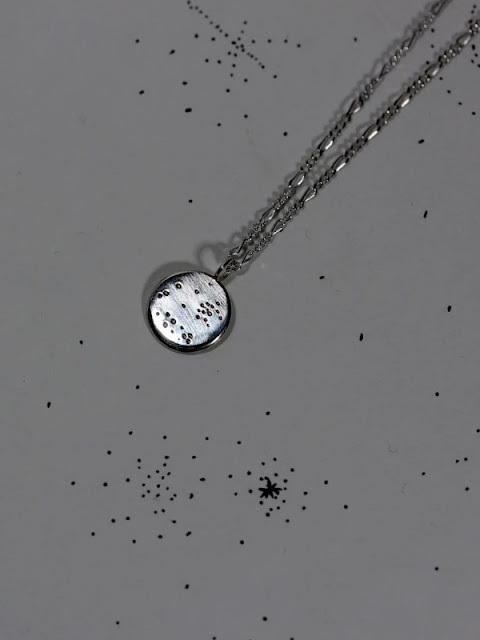 She lovingly creates each item in her Edinburgh studio using traditional goldsmithing techniques and embracing the natural imperfections of the handmade. 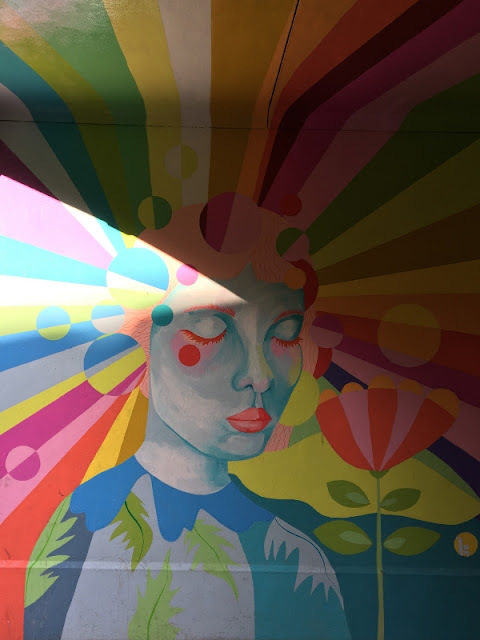 Despite walking past Kate George's beautiful artwork for years, it was only recently that I found out who was behind the series of beautiful murals in Southside. If you're in the area, be sure to check out her designs on Gifford Park Path, Gibb's Entry, and Haddon's Court. That's all for now! I've definitely missed plenty other talented ladies so please do drop me a comment below if you think of any more. Take care and have a blessed week. I can hardly believe that January has been and gone! The first month brought a flutter of snow, slightly longer days, and a calmness in Edinburgh now that Christmas markets and Hogmanay have passed. Personally, it's been a fairly busy start to the year, a few exciting projects brought me to London and York, and we had to move out our flat for two weeks due to renovations. 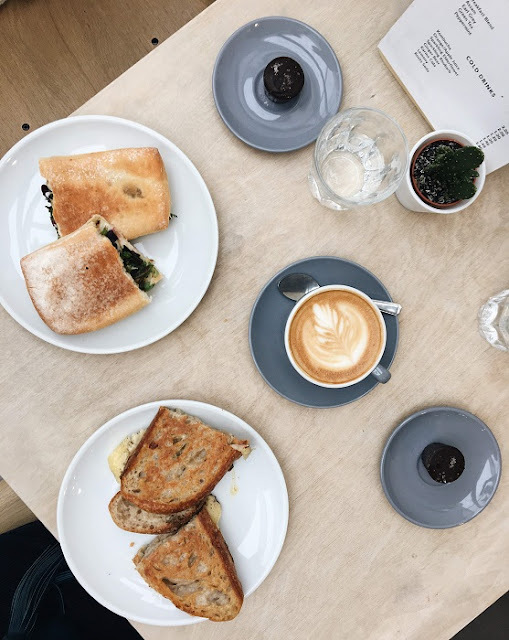 So, I haven't actually been in Edinburgh too much this month, however, I have still managed to squeeze in a few trips to cafes/restaurants this month. So, without further ado, here's where I ate in Edinburgh (January 2019). Located on the west end of George Street, Hyde & Son is technically a part of Eden Locke hotel's reception but you'd never guess it if you just wandered in off the street. Aesthetic was clearly a priority when designing the space, and while it might not be to everyone's preference, I personally love the space. I find it a very calming and relaxing spot to enjoy a bite to eat or a cuppa. Almost directly across the road you'll find another hotel with a gorgeous cafe. At the heart of The Principal Charlotte Square you'll find a plant lovers' dream. 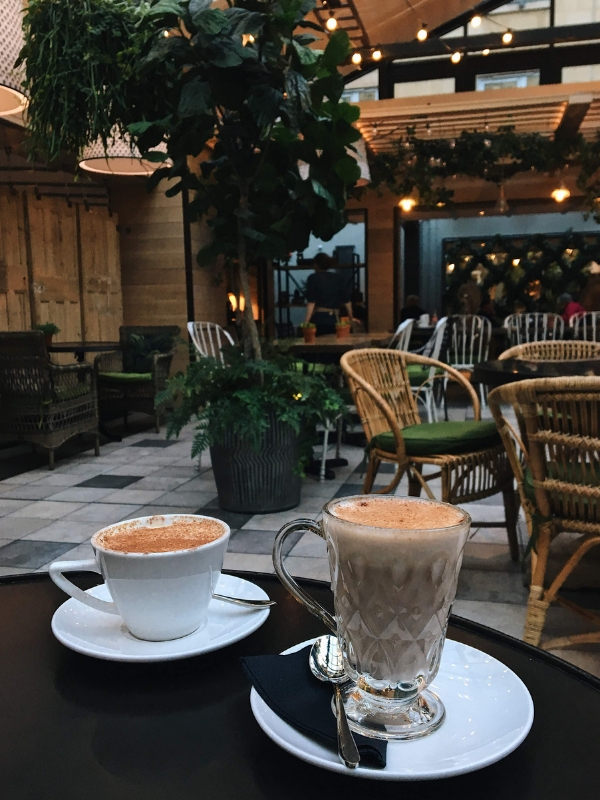 Thanks to the glass ceiling, the enclosed courtyard always feels bright (even on the dreariest of days) and the abundance in plants brings the space to life. I met one of my close friends for a cuppa and we sat for ages just chatting. Another great thing about the cafe is the number of seats, so you never feel like you're being chased out. 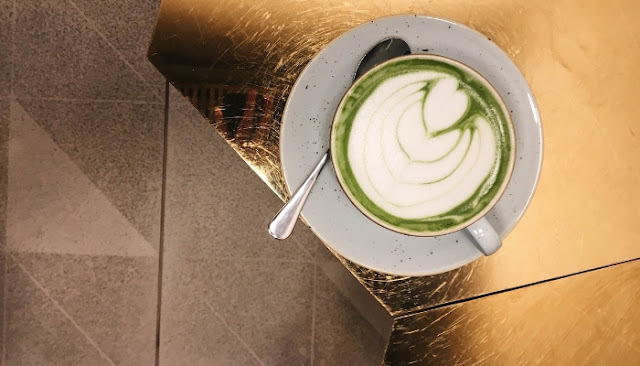 I love trying new places, so when I met up with my friend Claire and Sally (@Scotlandwithfluffywolf) and she mentioned a new dog-friendly cafe, I couldn't wait to try it! Fortuna is located on the west end of Queen Street and is a bright and cheery spot for a bite to eat. Note: Their cheesecake brownie was delicious! 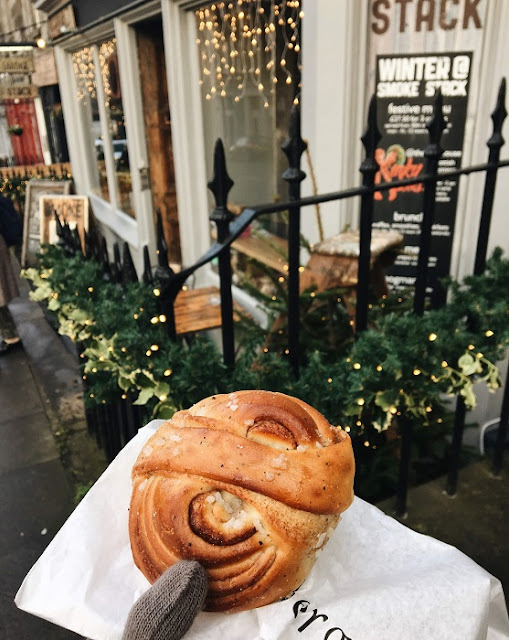 Ever since I tried my first Soderberg cinnamon bun in December, I've been craving another one. So, when I was meeting up with a few friends, I quickly suggested we meet in Soderberg! It did not disappoint, and even as I'm writing this, I'm tempted to pop out for another one. I've walked past Ransacked Black Oven many times and curiosity would build every time I'd pass it. It took a very chilly day and hunger for my friend and I to finally venture in and I'm so sad it's taken me this long to discover what a great place it is! It has amazing breakfast, lunch, and dinner options, plus it would also be a lovely spot for a cuppa. We both had one of their veggie wraps (the fact I don't have a photo shows a) how hungry I was and b) how good it was!). Would highly recommend if you haven't been! As I mentioned, it was very chilly day so our planned wander, turned into going from Ransacked Black Oven to Machina Espresso! We were fortunate enough to get their window seat and we both opted for their warm apple and cinnamon drink - bliss! That's all for now, see you next month! Ever since I watched the Bucket List and the scene in New Year's Eve where Zac Efron helps Michelle Pfeiffer accomplish her New Year's resolutions, I've liked the idea of keeping a list of things I particularly want to do. I feel been very blessed to have crossed various amazing Edinburgh off my list but there are still plenty I'd love to do. 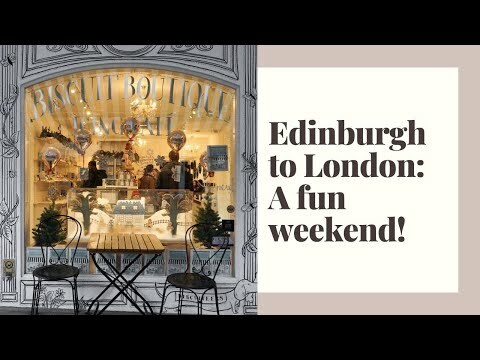 Also, as you all seemed to enjoy my Edinburgh Bucket List 2018, I thought I'd be fun to post an updated Edinburgh Bucket List 2019! I have to admit, I did not do particularly well with crossing everything off my 2018 bucket list, but some is better than none right? Hopefully, in 2019, I'll get the chance to cross a few things off my list that I have never gotten around to. 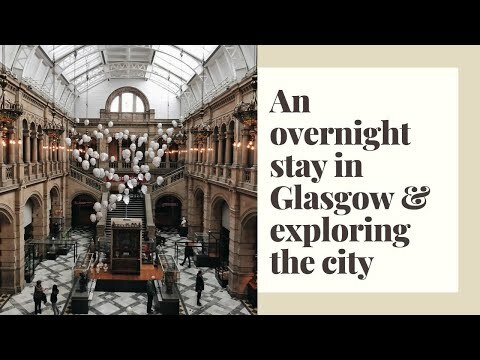 I've been in St Giles several times but I'd love to take their tour of their rooftop - I bet it has stunning views of Old Town! In case you're interested in visiting too, their rooftop tours currently run Saturday 10.30am – 4pm and Sunday 1.30pm – 4pm and cost £6 per person. I wouldn't necessarily call myself a foodie but I have heard so many great things about Bross Bagels that I'm desperate to visit soon and try one of their famous Montreal-style bagels! Anyone tried one yet? Lovingly known as Edinburgh's "other" castle, Craigmillar Castle is roughly a mile outside Edinburgh's old walls. I technically visited Craigmillar Castle years ago, but I only got the chance to walk around the walls as it was closed. Since I live relatively near it at the moment, I thought I better tick this off my list this year! This is one which I didn't get a chance to cross off last year but I am determined to do it this year - no more excuses! To be fair, I did go one day but they were closed (noticing a pattern? Apparently, I'm not very good at checking opening times). If you're interested in visiting, be sure to book in advance. Again, another one from last year's list but as soon as the warmer weather arrives, I intend to head out to visit the Secret Herb Garden. Located at the foot of the Pentland hills at the edge of Edinburgh lies the Secret Herb Garden set within a magical 7.5 acres bordered by native hedgerows and a gentle stream - plus they have a glasshouse cafe! I'm finishing the list with another leftover from last year. The Real Mary King’s Close is a warren of underground streets and spaces. For years, the hidden Closes of Old Town Edinburgh have been shrouded in mysteries and it sounds like something I would love to learn more about. Well, I don't know about you but November passed in a blink of an eye for me! 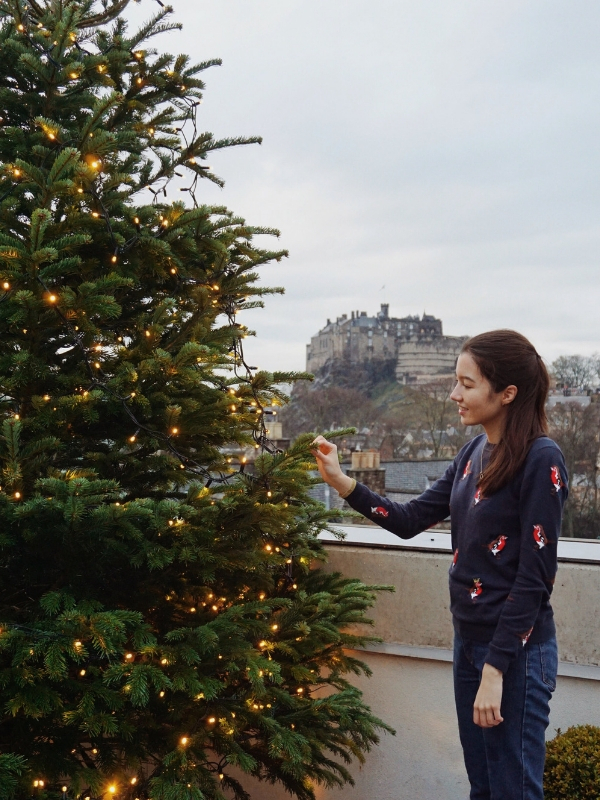 We're officially into December and here in Edinburgh, the city is looking and feeling rather festive. Before I get carried away with the fact that Christmas and the New Year are only a few short weeks away, let's take a look at Where I ate in Edinburgh (December 2018)! 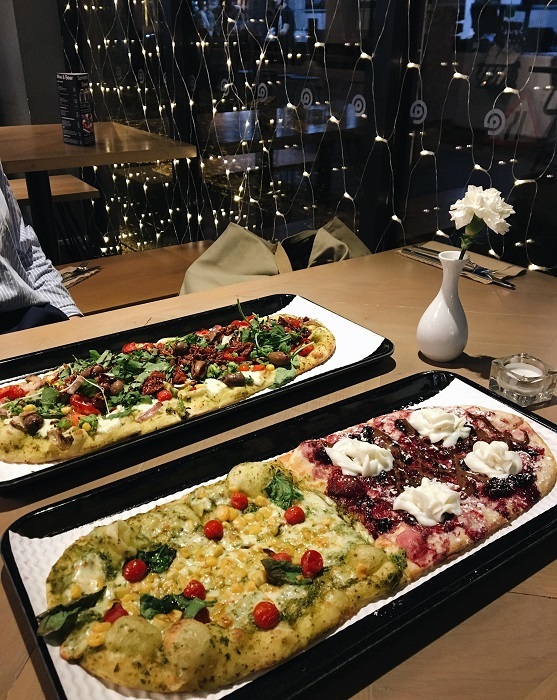 Is there any better way to start the month off other than with pizza? A friend of mine works nearby so we caught up after she finished work at @pizza. The pizza restaurant has appear in a few of my "What I ate" posts and it should come as no surprise that I went for my usual - sourdough base with pesto sauce, mozzarella, sweetcorn, basil, finished with sun-dried tomatoes. However, as I was in the mood for dessert too, I opted to have half of their Vanilla Sky dessert pizza too. One word: Yum. 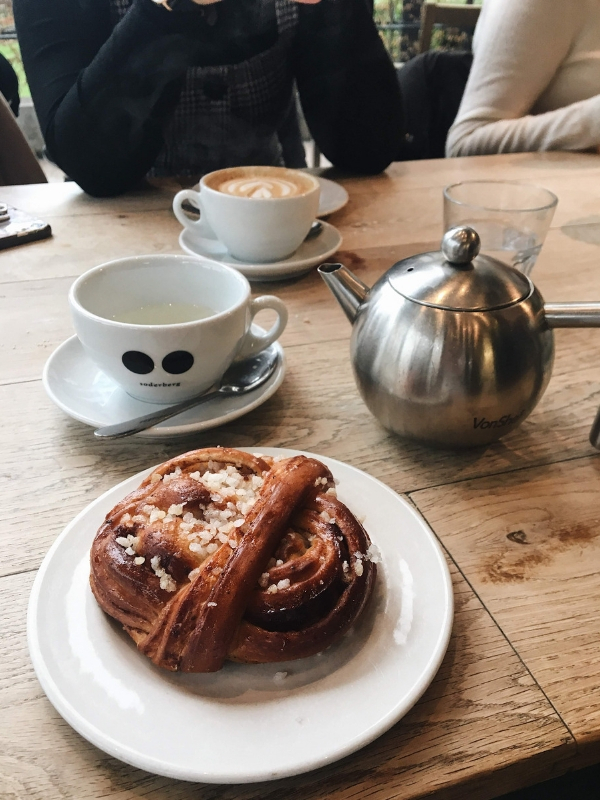 How has it taken me so long to try a cinnamon bun?! I have my lovely friend Frances (@Francesmehardie) to thank for suggesting we stop into Soderberg during our photo walk for a snack! One bite and I was completely sold. I'll be back soon that's for sure! If I lived nearer the West End I'd be in Strumpets at least once a week for a cuppa but the one plus side about living on the other side of town is it's always a treat when I do occasionally visit. 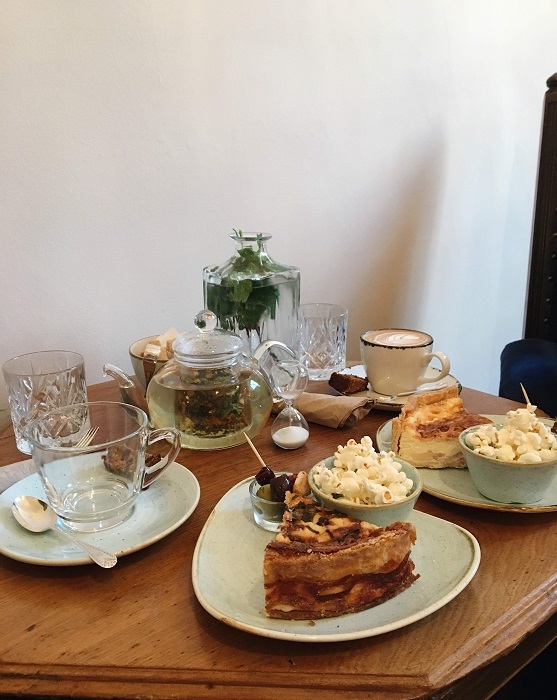 I visited for lunch and decided to go for their quiche and a cup of tea. Lovely as always. 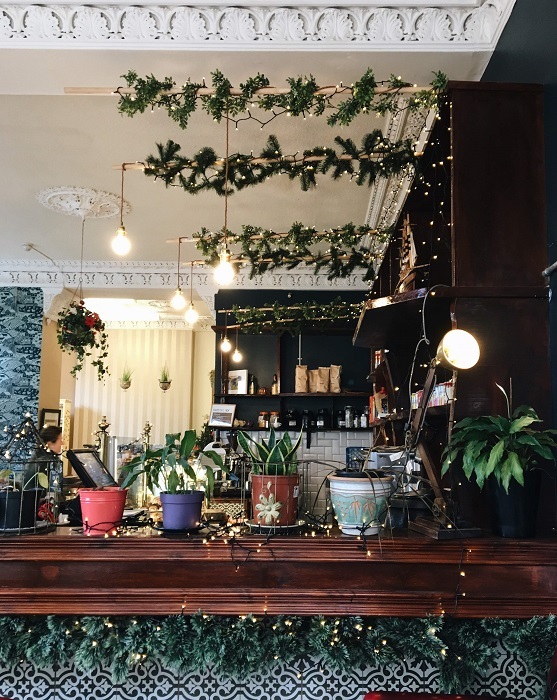 After spotting Coates Cafe's beautiful Christmas decorations on Instagram, I knew I had to visit at some point. 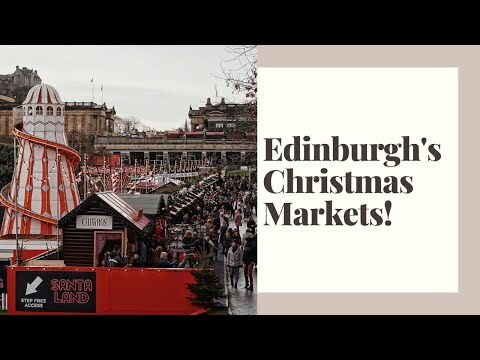 My lovely mum visited me to help me film parts of my Edinburgh Christmas Market video with Marriott Traveller and after the hustle and bustle of the markets we escaped to Haymarket for lunch at Coates Cafe. It's always fun to visit somewhere new especially when you've heard glowing recommendations from various people! 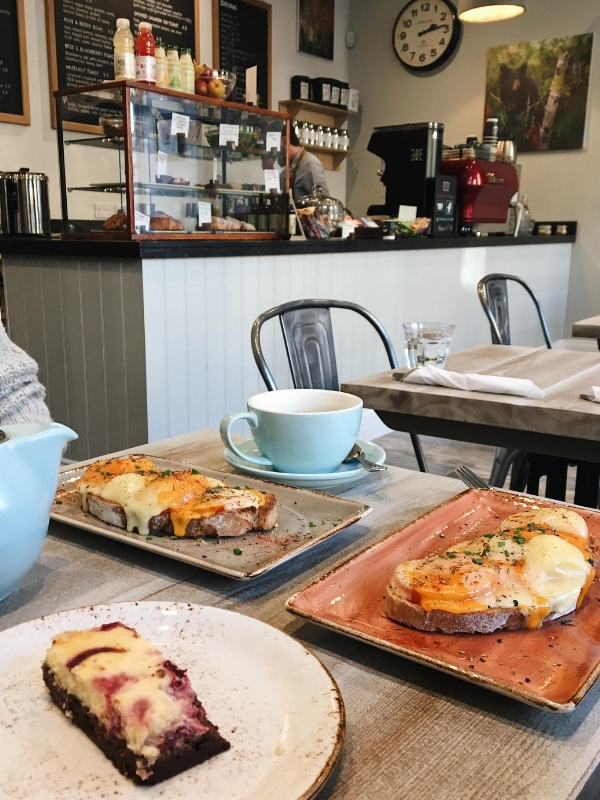 I finally visited Nobles and tried their very impressive vegetarian full breakfast. 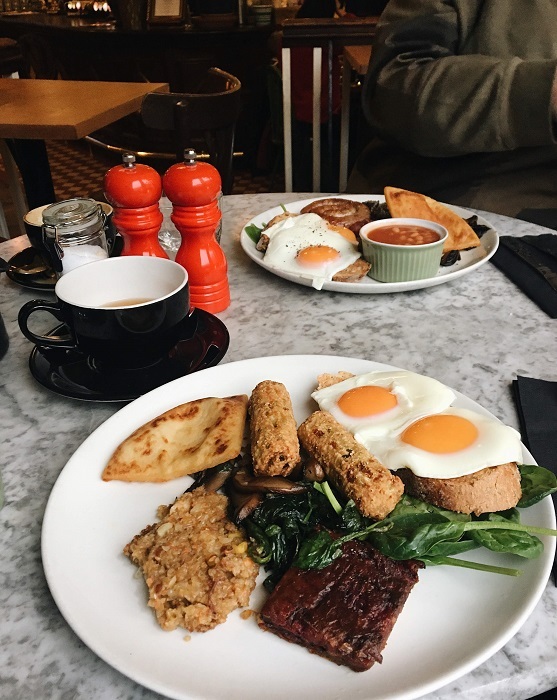 I'm always slightly sceptical when it comes to vegetarian breakfasts as I'm not a big fan of soy products or Quorn, thankfully my friend had been previously and assured me it was one of the best veggie breakfasts she'd seen. I have to agree, it was great! On a drizzly, grey day in Brunstfield, I met up with one of my dear friends for a wander and to look for a few Christmas gifts. We decided to try Seeds of the Soul for lunch as it looked lovely. Half way through eating my cheese toastie, it occurred to me that everything on their menu is vegan and therefore, I was trying vegan cheese for the first time. Odd consistancy but tasted pretty good! The cafe had a lovely ambiance and I'd highly recommend it for both vegans and non-vegans. 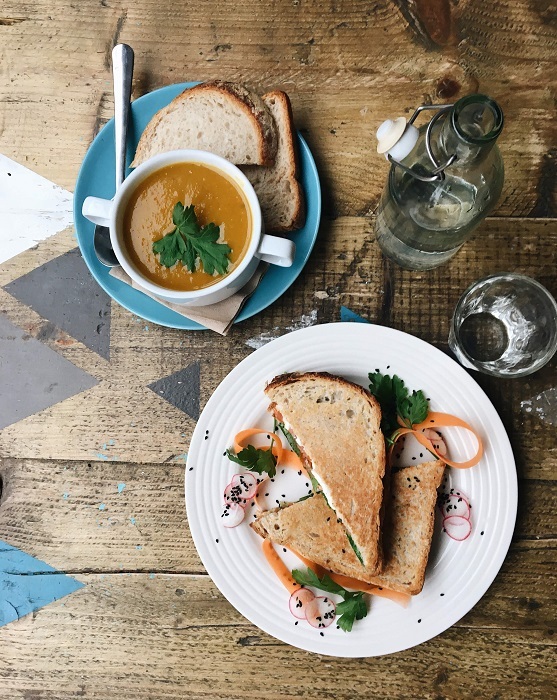 After an adorable festive photo shoot with the cutest Samoyed Sally (@scotlandwithfluffywolf) at Circus Lane, Claire and I were in need of some lunch. 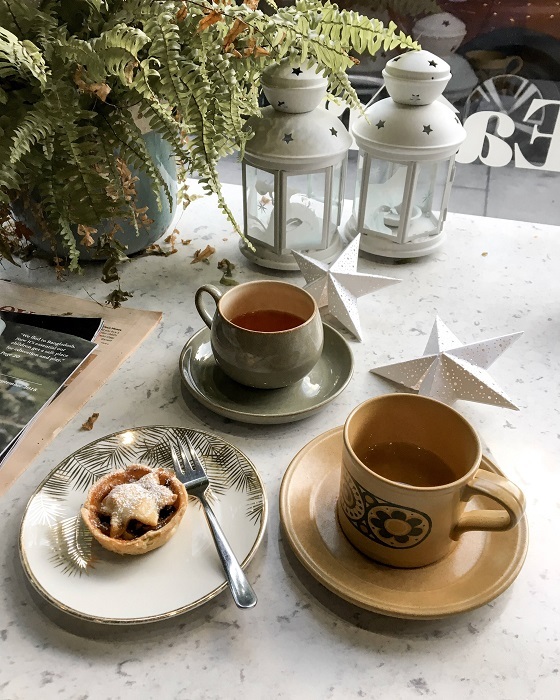 We had planned on visiting Patisserie Florentin however they were pretty busy, so we made our way along to the very dog-friendly, Hector's. 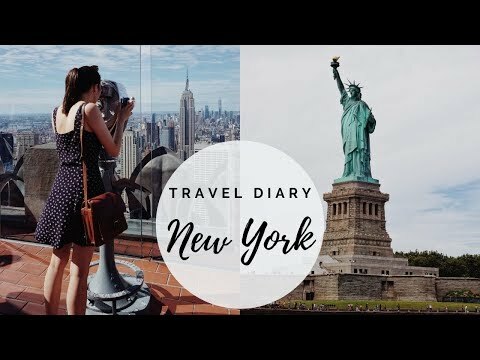 It was my first time to visit and I thoroughly enjoyed it! It's always a good day when The Pastry Section is involved! 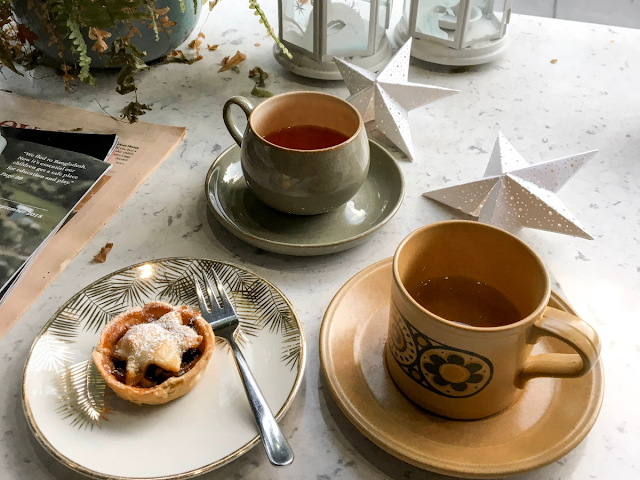 I usually opt for one of their delightful tarts but since it was the festive season, I decided to try one of their famous mince pies (did you know they made it into the Sunday Post recently?!). It was definitely one of the best mince pies I've had this season and possibly ever! Last but not least, I caught up with my lovely friend Ildi (@edienthusiast) for a catch up and photo walk. We started off at the City Art Centre for the Robert Bloomfield photography exhibition (which I'd would highly recommend!) and decided we'd visit William & Johnson for lunch. I've been meaning to visit for quite some time and it was just as good as I expected! If you're waiting for a train, I'd highly recommend popping in for a cuppa too! 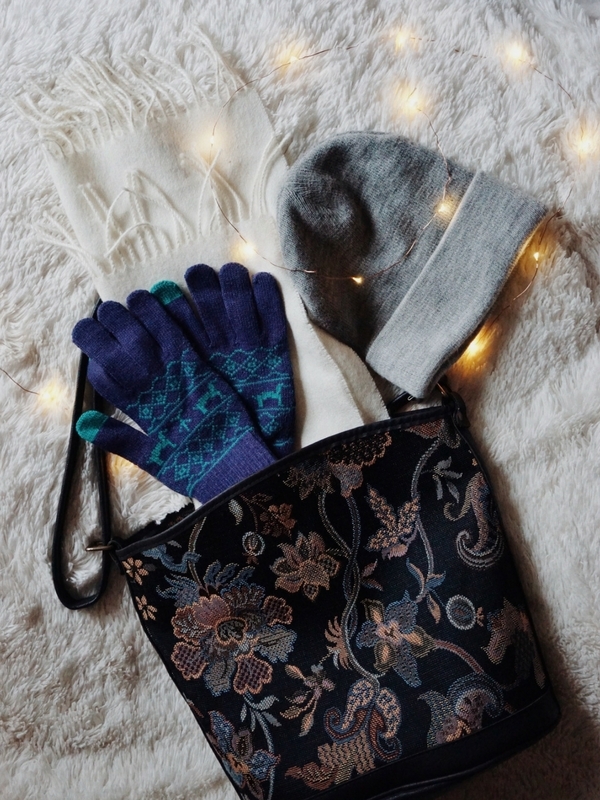 What to Pack for Edinburgh in Winter! 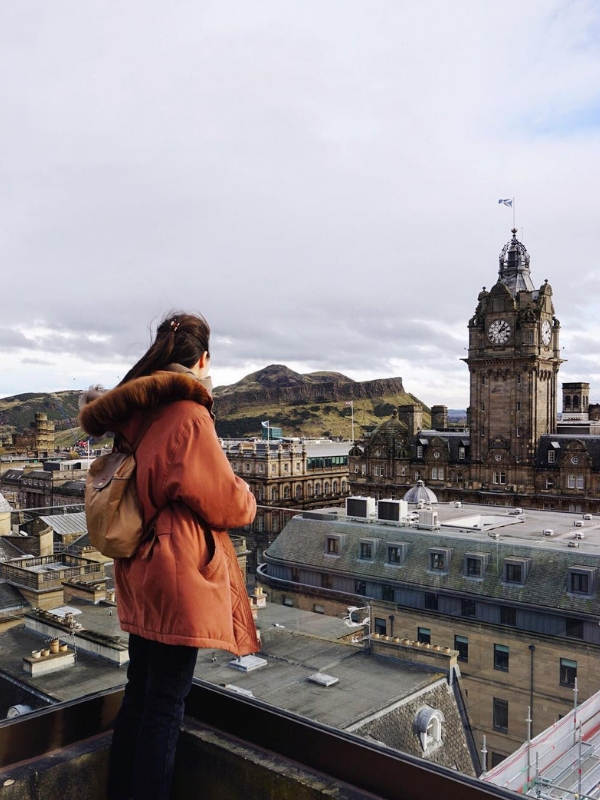 If you’re visiting Edinburgh during winter, be sure to wrap up! It may not be the coldest city in Europe but Edinburgh is infamous for being extremely damp and windy, often making it feel a lot colder than the predicted weather forecast! We also have a famous saying in Scotland, "four seasons in one day" as it's not uncommon for it to be blue skies in the morning, pouring with rain by the afternoon, and clear skies by the evening. So, my biggest tip for visiting, be prepared! To help give you an idea of what to pack, I’ve included all the essentials for what to pack for Edinburgh in winter below! As the weather is so changeable, I recommend wearing layers! 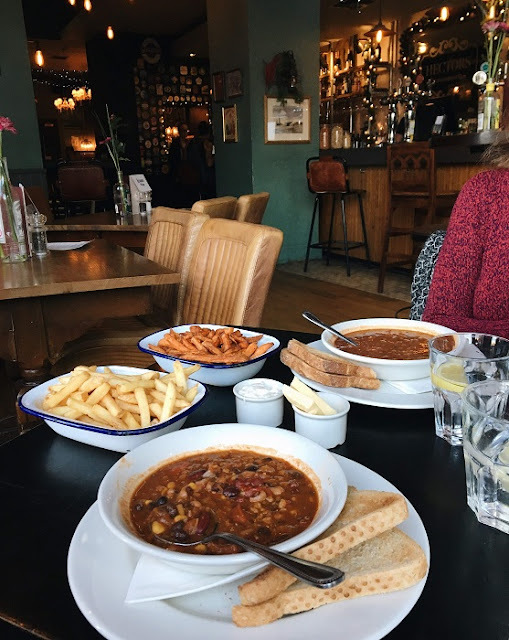 On a day-to-day basis, I usually wear some form of t-shirt/thermal top under a cosy jumper with and jeans (if it's an extra chilly day, I'll also wear tights under my jeans!) or a skirt with thermal tights and a warm water-proof coat. 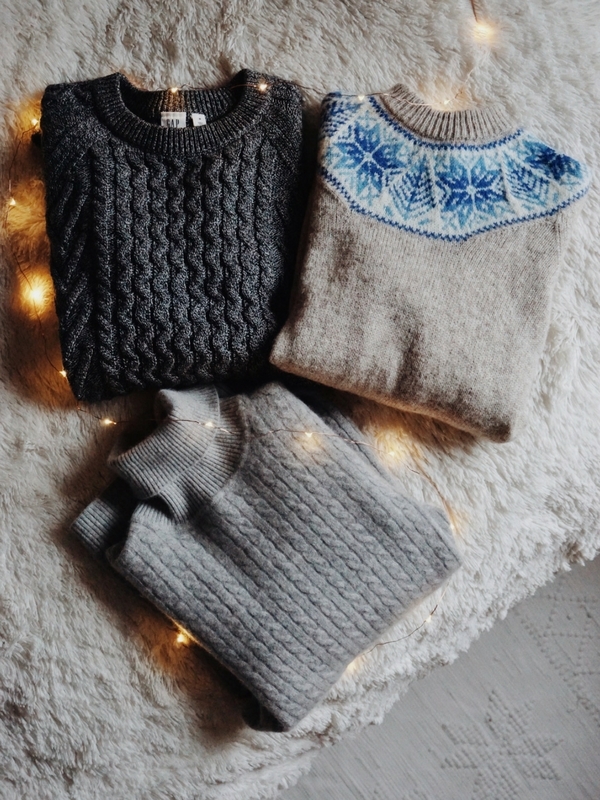 Depending on how long you're visiting for, I'd pack a couple of jumpers ranging from thick cosy polo necks to slightly dressier jumpers if you're going out for a nice dinner or a night at the theatre. A particular favourite of mine at the moment is this Joules jumper adorned with cheerful robins which they kindly gifted to me. If you want to stay extra cosy, something like Uniqlo's Heattech top is perfect for wearing underneath your jumper. Feel free to wear any bottoms you prefer, if I were packing I would bring a pair of jeans and a skirt. 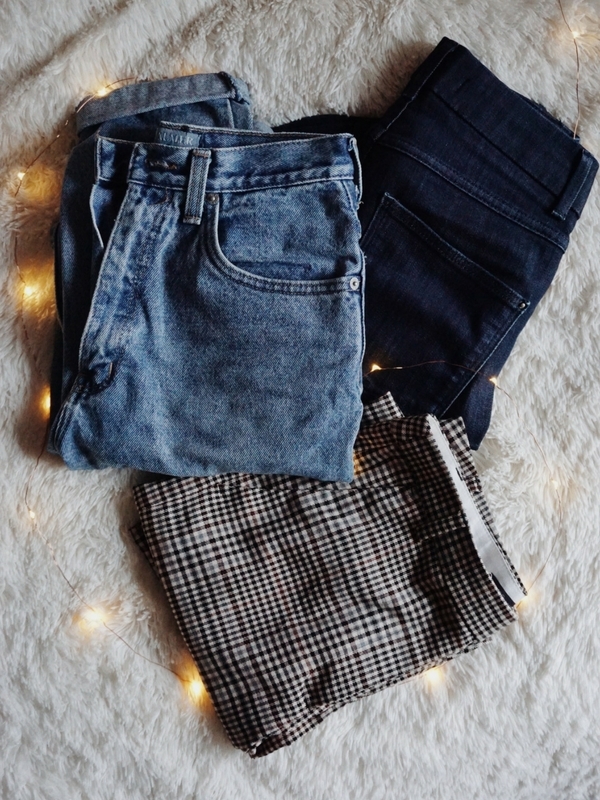 To keep extra cosy, I often wear Primark's very affordable Super Cosy 300 denier tights which have a fleecy lining under my jeans or with a skirt. I've recently spotted Uniqlo Heattech leggings which I'm tempted to order! When choosing a practical coat, I always opt for a coat with a hood as Edinburgh can be extremely windy and I've seen many a sad umbrella lying in rubbish bins. If you want to guarantee you'll be warm, I'd opt for a down puffer coat which is wind resistant (I'm still on the lookout for my perfect winter coat). If I were visiting for a week, I'd also bring a “nicer” wool jacket for fair but chilly days, or for an evening out. 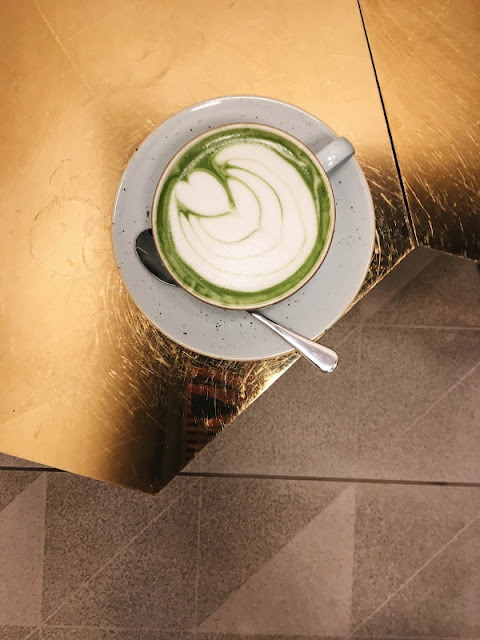 Despite polo neck jumpers being my absolute favourites for winter, like I mentioned previously, the weather can be extremely changeable so it's a good idea to layer up with a warm scarf, hat, and a pair of gloves. Edinburgh is known for its cobbled streets and hills, so I would recommend avoiding heels unless you're heading out for the evening in a taxi. Edinburgh's city centre is fairly small and therefore most locals will opt to walk - it's often faster than taking a taxi or bus! Therefore, I'd recommend packing your comfiest pair of shoes, whether that be a pair of trainers or boots. 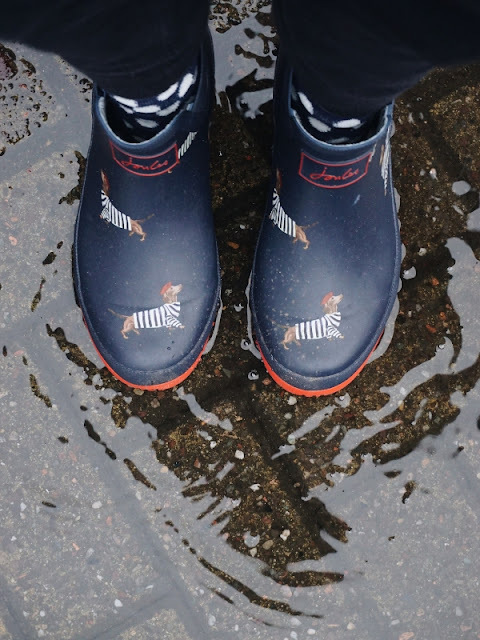 On rainy days, I've been reaching for my Joules wellibobs. They have a range of colours and patterns, I opted for the adorable dachshunds wellibobs (gifted)! Due to their size, they feel a lot more appropriate to wear around the city on a rainy day than regular wellies. Edinburgh is known for being a fairly safe city, although if you're visiting during August when the Edinburgh Festival is on, be careful as pickpockets are known to be in busy areas like the Royal Mile. Personally, I've never had anything stolen from me but one can never be too careful! 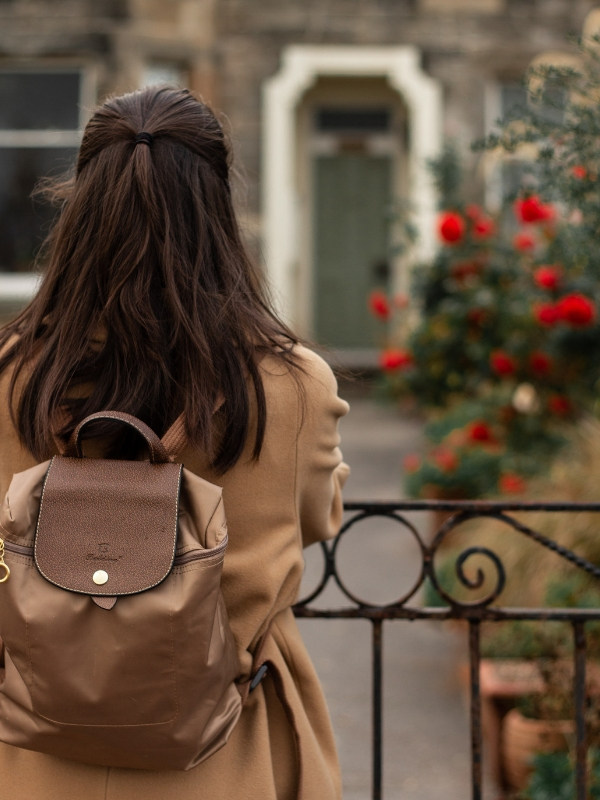 Whether you prefer a handbag, a tote bag, or a backpack, my advice would be to go with something versatile (which can be used during the day or evening) and which can fit all your essentials (for me, that would be my camera!). Backpacks are my personal favourite at the moment but if you're planning on visiting museums or art galleries, be aware that you'll most likely have to carry your backpack. Looking for a backpack? I personally love Longchamp's Le Pliage backpacks as I think they're both stylish and practical (it's on my birthday wish list), or Fjallraven Kanken backpacks. There are always a few extra items that I always pack which I thought I might as well include here. Whenever I travel, my normally combinations skins becomes very dry and the best product I've come across is Weleda's skin food! Living in Scotland means putting up with windy cold weather during the winter and Weleda works wonders on my winter skin. Also, I never leave my house without a lip balm. I've tried many over the years and have found two that work for me (the rest either make my lips worse or they feel coated). For daytime, I use Lipmate (SPF 15) and before bed, I use Nuxe's lip balm! A battery pack! When I travel, I take so many photos and videos so a phone battery pack is a must. 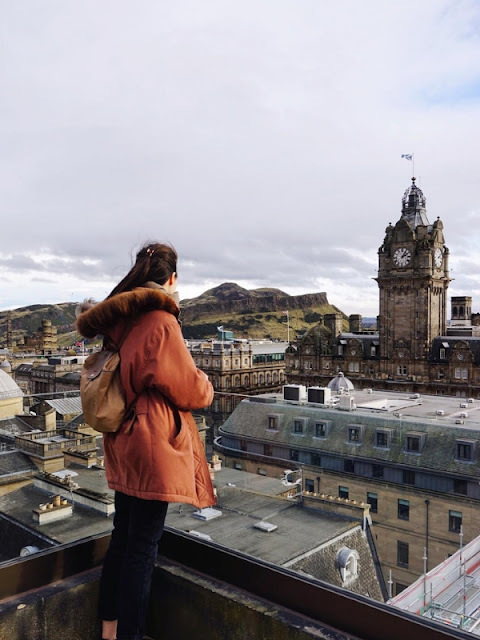 I know that my list by no means covers everything and it's written from a girl's perspective, but, I hope if you are planning on visiting Edinburgh and had doubts on what to pack, that this post might be somewhat useful. 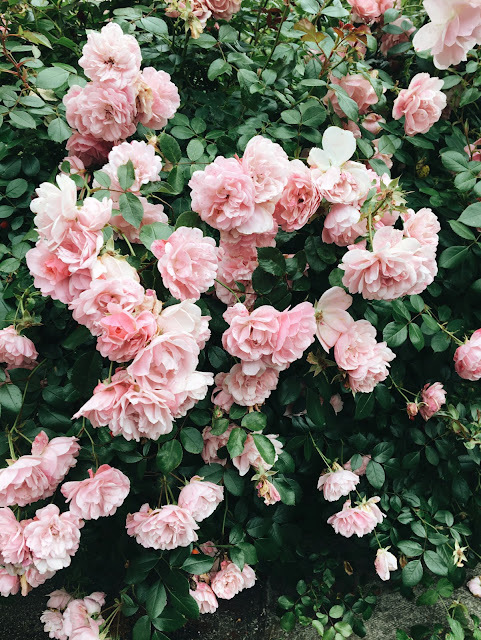 If you have any tips that I missed out please do leave them in the comments below, I'd love to hear them!